Hey guys! I didn’t get around to writing up a clean eating meal plan last weekend, as my mum is visiting from Australia, and we decided to take a little family trip into San Francisco for a couple of days instead. I am back at it this week though. 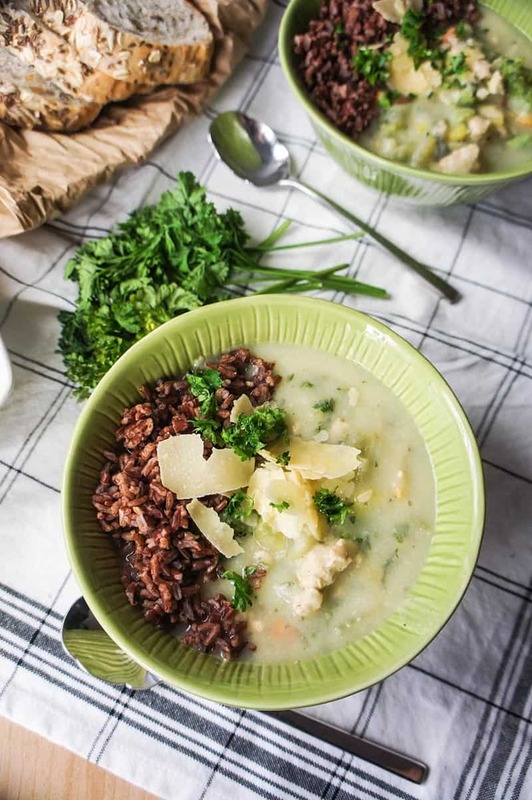 So here is my clean eating meal plan for the week, using some great recipes from some very talented bloggers around the world. Be sure to check them out, and I hope you will join me in preparing at least one for a great clean eating week ahead! Check out this Creamy Chicken and Rice Soup from Vitamin Sunshine. Packed full of home-made clean chicken sausage, and cauliflower – how could you say no? Keep it vegetarian on Tuesday, and enjoy these Mexican Inspired Stuffed Sweet Potatoes from Natural Girl Modern World. How could you go wrong with such a classic combination of Mexican colours and flavours, with a twist of course. It’s hump day! Break out the slow cooker for this Slow Cooker Turkey and Pesto Lasanga from The Seasoned Mom. 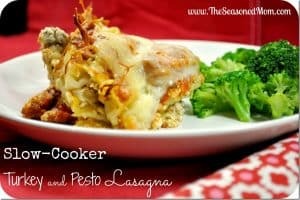 This recipe was my first time trying lasagna in the slow cooker, and I was not disappointed! The kids will love it too. 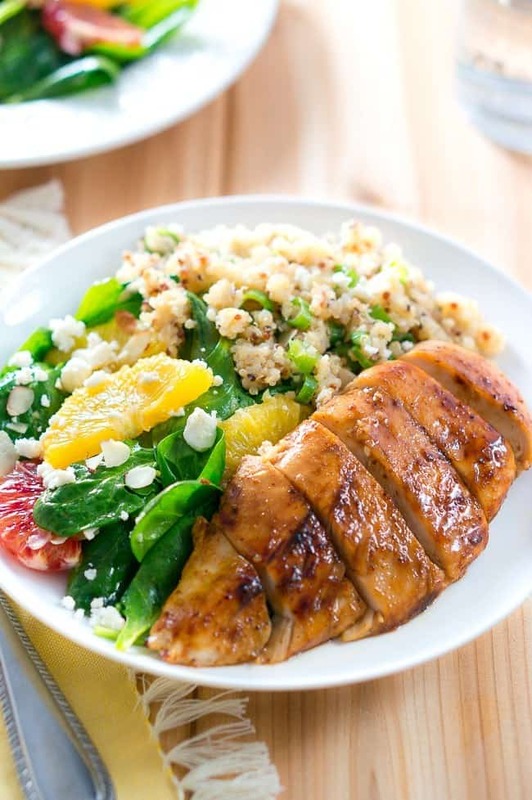 This Balsamic Glazed Chicken with Citrus Salad and Quinoa from Delicious Meets Healthy is the perfect way to celebrate Thursday. The citrus in the salad adds a great kick, and the balsamic chicken is just perfect! And that’s it! Easy, right? Donna, I can’t wait to try the slow cooker lasagna! And many more dishes on your meal plans for that matter. ? Haha thanks Cindy! It’s really yummy! Yay 🙂 I hope you find some inspiration for your own meal plans! 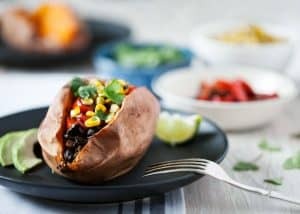 I would love to have one of those Mexican inspired stuffed sweet potatoes… and I’ll bet I have all the ingredients here. Well, maybe tomorrow night. Oh it was delicious Blair! Oh my goodness, I want every one of those dishes. I’m just loving meal plans and the ease it brings to my life. Thanks for a great line-up, Donna!